Free Hand Nail Art - Divassence! I was sitting on a Sunday afternoon looking at my bare nails. And let me tell you I have this thing of wearing something extra to work on Monday, so I try to plan such little things every Sunday. Actually, most of the time nail art time comes on Sunday coz I don’t get much of time (or will) to do nail art after coming back from work. And I think God has made Sunday for some purpose right? Today we’ll do some free hand type nail art where you don’t have a pattern to follow and hence you don’t have to be very precise or accurate OR symmetrical on every nail. 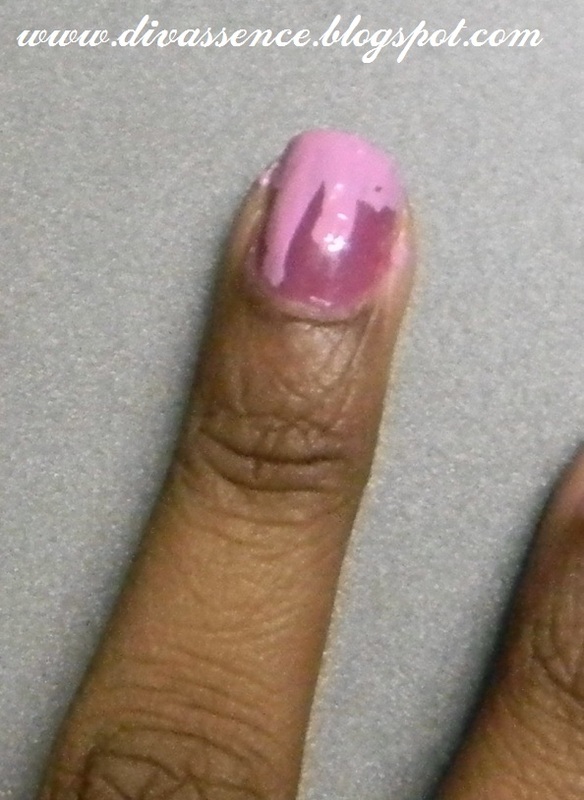 Start with painting you nail in magenta color. I have used some shade of “Blue heaven” here. It doesn’t have name but some number on the lid. It may look untidy here but don’t worry it will look better after finishing. 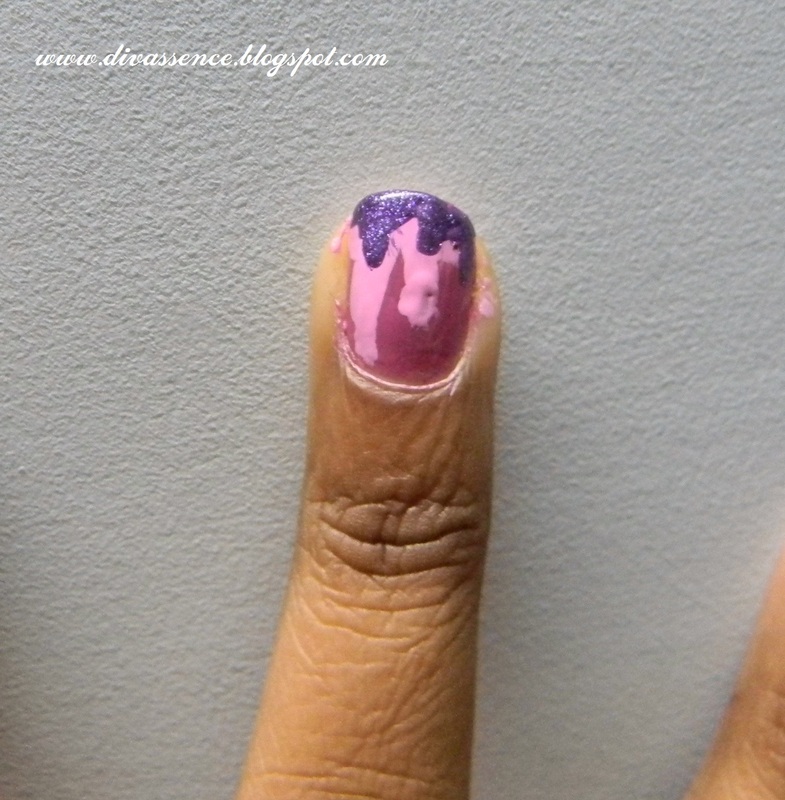 After it has been dried, take a purple (glittery purple) nail paint and draw a small version of what you have done with pink color on the pink color itself so that it gives a look of one more layer of paint falling. 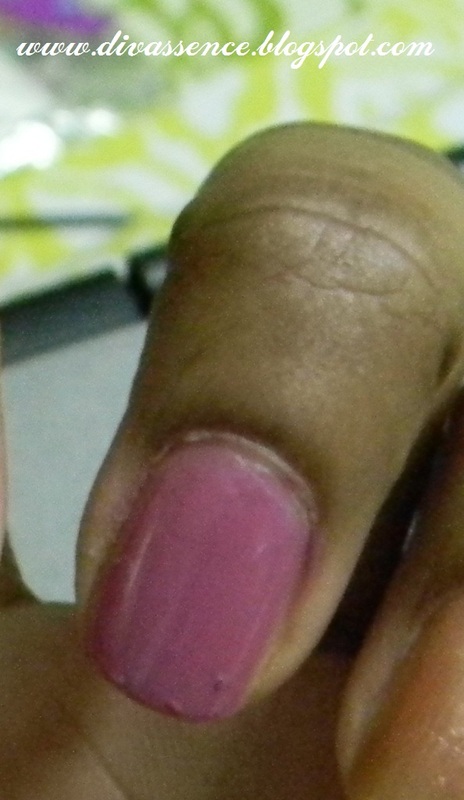 I’ve used Lotus colordew here (don’t know the name because the name sticker of this nail paint was missing :P). When it’s dried, seal it with transparent nail pint and you are done. I hope you guys liked it.